Bubble shooter games are the best types of games that you can play with as they will never bore you and there are always new twists and updates with these titles. 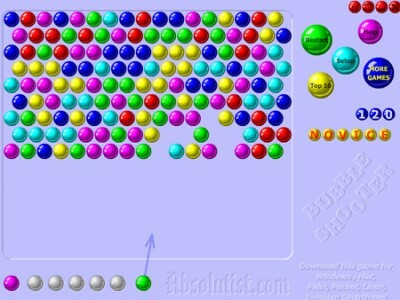 In fact, if you have played any online game, you may have come across the Bubble Shooter series. There are actually three of them that are all available on the Internet for free. In addition, you can also download the games for your iOS or Android gadget for a small sum. Although the game play is similar between these platforms, handheld devices are touch screen while online gaming requires you to use the mouse. 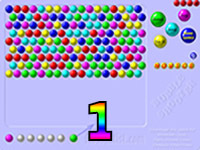 The very first Bubble Shooter game was a success. Other than being able to download it for your iOS or Android device, you could also play it online for free. Although the game is very basic when it comes to incorporating the features of a standard bubble puzzle game, it is a hoot nonetheless to play. If you are just looking for something to play and do not pay much attention to visual effects or visceral graphics, then you will find this version of the game very enjoyable. 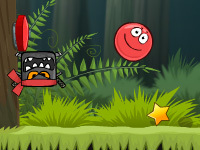 Bubble Shooter 2 is the second instalment of the Bubble Shooter games series. As a direct sequel, it is definitely a step up from the original when it comes to graphics as well as game play. On the other hand, if you’ve played the original, you might be underwhelmed with what was done in this version. The bubbles seem too far away as if the entire screen was zoomed out. In turn, this makes aiming and targeting kind of challenging. Although everyone loves a good challenge, this is definitely an unorthodox way of presenting it. However, the game play was changed in such a way that there are no levels that you will be moving on to. 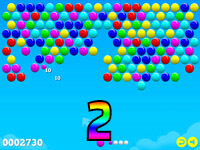 Bubble Shooter 2 is one continuous game that becomes harder and harder as more bubbles come down from the top. 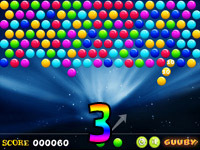 Then finally, the latest of the series is Bubble Shooter 3. By far, it is the best one among its predecessors. A lot about the game has been improved for the better such as the graphics, presentation, game play and basically everything about it too. In this version, you will be completing multiple levels that start off easy at first but eventually become more challenging as you go on. The graphics are very impressive in such a way that you would not believe that you are playing the online version for free. The screen size is much closer to you, making aiming the bubbles much easier as compared to before. Finally, all three games are available for download and not just the first one. For a small amount, you can enjoy all these titles and play the games wherever you are. Of course, if you are the type who rarely spends, you can always enjoy the online versions of the series for free. Even if they are online, the games are complete versions and you do not have to worry about missing any component at all! ©2019 Bubble Shooter 2. All rights reserved.